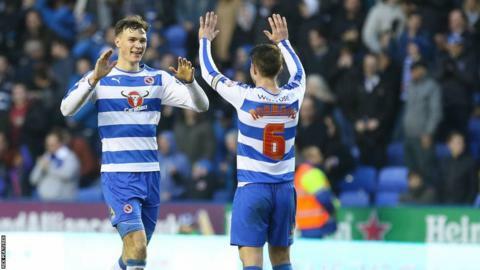 Reading defender Jake Cooper says his mother pays more attention than he does to reviews of his performances. Centre-back Cooper, 21, hopes to help the Royals to an FA Cup fifth-round upset against West Brom on Saturday. "My mum looks for the reviews more than I do, but I try not to get too involved in what people are writing about me," he told BBC Radio Berkshire. Cooper, who has been with the club since 14, hopes to emulate Reading's semi-final run from last season. "I want to make the fans and club proud," he added. "I do hear about what people are writing and saying about me, but I don't really want to think about it too much. "I always feel I can do better and that I have a lot of room for improvement. I think I still have a long way to go in my game." Cooper, who has made 14 appearances this season, signed a new contract at the Madejski Stadium in October, keeping him at the club until the summer of 2018. "Last season, the FA Cup run helped us gain confidence in our league performances," he said. "We're hoping we can do the same again this year."